Are you a Spurs fan? Have you followed the team’s progress through good times and bad? Would you like to test your memory of the people and places that have shaped the club through the 80s, 90s and 2000s? 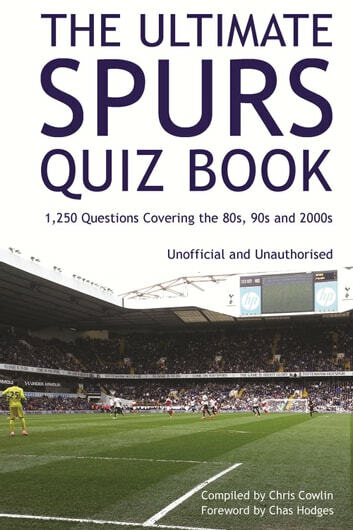 If Tottenham Hotspur is the team you support, you are certain to want to have a go at the 1,250 questions in The Ultimate Spurs Quiz Book. Who was the first ever foreign manager of Tottenham? Which London rivals did Spurs beat in the 1991 FA Cup semi-final at Wembley? How many League goals did Tim Sherwood score for Spurs in his football career? 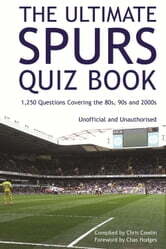 The answers to these questions and more can all be found inside this bumper quiz book all about your favourite team. With a foreword by life-long Spurs supporter, Chas Hodges, this book contains questions on all the memorable players, managers, goalscorers and opponents that have been a part of the Tottenham story over the past 30 years. Packed full of fascinating facts, this book will appeal to football fans of all ages, from the young in years to the young at heart.